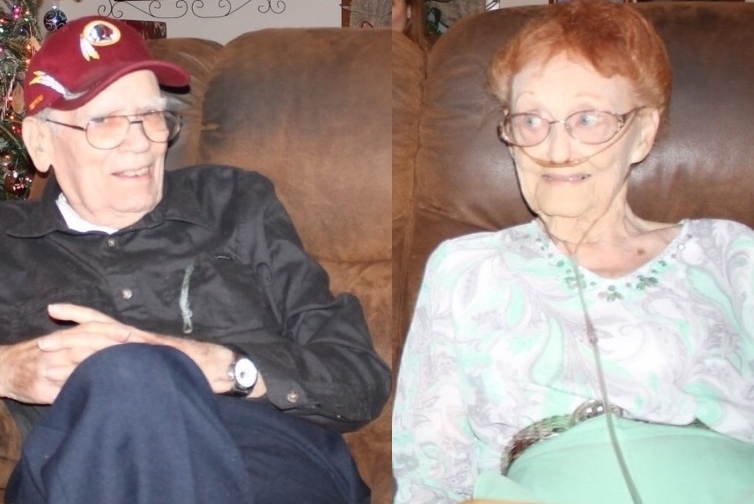 The Bolings are celebrating their 72nd wedding anniversary on Feb. 5th, and the family will gather with them this weekend to honor this rare event in the world’s history of lifelong marriages. The couple decided at ages 14 and 15 when they first met that they were going to get married someday and now, 75 years later, Frank still loves his wife Norma more than anything, although she is suffering from the ills of severe dementia and he can’t always keep up with the stress of helping her along with the physical demands of maintaining a household. But, the couple, both nonagenarians, still share their home of 58 years in the Berkshire Community of District Heights, Maryland. When they first met close to where they lived in the District of Columbia, the pair was inseparable. Their families and friends tried to discourage them from hanging out so much with each other. Norma’s parents and brother didn’t take a liking to Frank. Her father and brother initially threatened Frank to try to keep the couple apart. But, Frank didn’t back down and Norma at one point even chased after her brother, John, with a crutch to call him off of Frank. However, the Ford’s got to know Frank better and to see how much love they had for each other. I think even, eventually, Norma’s parents were like a mom and dad to Frank. You see, Frank’s father was an under-educated single parent and their estranged mother passed at age 33 just before Frank and Norma met. The Boling’s and Norma’s parents and brother, the Ford’s, moved into Prince George’s County, just outside of Washington, D.C. where they built two of the three homes in a row, where they lived side-by-side on what was probably quarter-acre lots–that’s how close they were and remained for throughout mom’s families lives. Next, the couple picked Berkshire as the place where they wanted to live to raise their young children (which now included a daughter of 11 and a new-born son). Berkshire’s neighborhood was new, the schools were highly rated, and they were introduced to and liked a couple of their neighbors-to-be who also had children about the same ages as theirs. For the most part, life was good, the world was prospering, their social life was healthy and it just seemed this place was a perfect fit. And so, Berkshire is where they raised their children and today Berkshire is the place where family comes to help pick up the slack with their parents’ needs. Children, grandchildren, and great-grandchildren alike pitch in as needed for the upkeep of their house and yard, the daily chores of living in a home, and even helping with their hygienic needs and meals. Why you might ask don’t we just place them in assisted living? Well, this is what loving, well- connected families do, and the only request from Frank and Norma to their adult children–“to help us stay independent and to never remove us from each other or our nest that we worked so long and hard to build.” No, it’s not the physical bricks and mortar, or the neighbors who have now passed on or out of necessity or choice have relocated elsewhere. It’s their love for each other and their love of the memories of hard times and good times with family and friends. It’s ironic that Frank and Norma picked a community named Berkshire. Both their ancestors’ origins date back to ancient Europe near a place in southeast England, that the Queen of England in 1957 recognized as the Royal County of Berkshire (just shortly before my parents moved to their Berkshire Community). Situated in the heart of Southern England, the County of Berkshire is home to several well-known Towns and Cities, such as Windsor, where the famous Royal retreat Windsor Castle. Berkshire, England, is a county of historic origin. And, more than these two place names being the same, Berkshire, became a place of historic origins and momentous memories for our parents and family. Frank had nearly black wavy hair, was handsome, and was a very good dancer. “We loved to go dancing just as often as we could,” Norma has told the family. They would attend dances at friends’ homes or meet up with groups of friends at Mt. Calvary Church or St. Pius X Knights of Columbus Hall that held dances at least monthly. 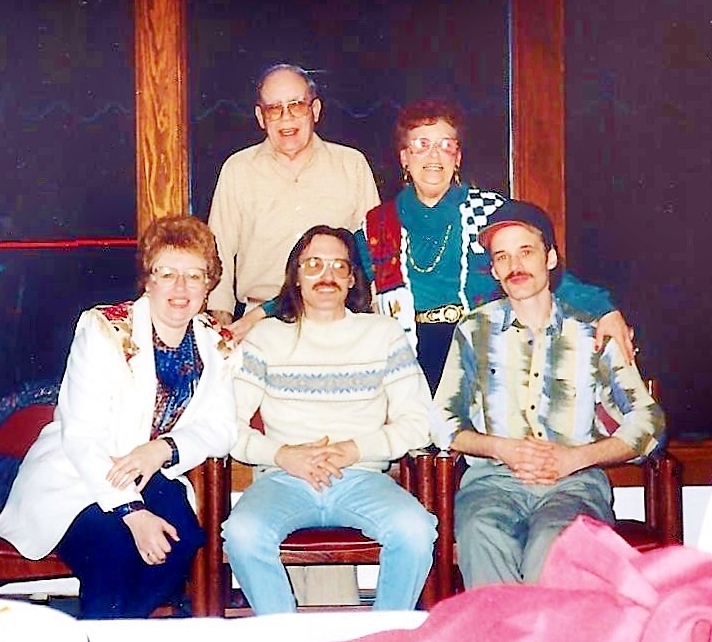 “I would sit and stew,” Frank said about watching his soul mate dance with others in group dances. But, Norma would tell him that he didn’t have to worry that he was the one she chose and wanted always to do life with. 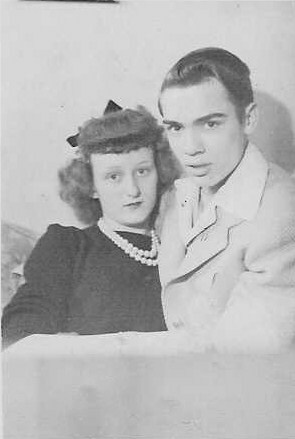 Norma and Frank eloped to Ellicott City to marry before the Justice of the Peace at ages 17 and 18. (Frank was the younger of the two.) He says he bought her small diamond ring from Kay Jewelers. Years later they replaced the original set with a band that had multiple diamonds. They raised one daughter and two sons–all who live within a 30-minute commute to them. And, the extended family now includes 5 generations: Norma and Frank; Joanne and Bob and their three children: Robert, Jeff, and Jennifer; Frank and Diane and their three children; John and Joyce and their three children. Additionally, Robert’s eldest son, Jackson, is now 1-year-old great-great-grandson to Frank and Norma. Jeff’s son, great-grandson, Justin and his wife Chelsea added three great-great-grandchildren to the family–Sarah and Brandon, age 6 and Laken, age 1. Jennifer and her husband Brian added two great-grandchildren–Kylie, at 17, and Aaron, age 15. Jeff and Penny’s sons added two more great-great-grandchildren– Tony added 2-year-old Noah; Dillon added 4-year-old Elaina. This is such a beautiful love story that I am getting chills! What a beautiful family. I am so happy for them and for the whole family. The photos are wonderful. Best wishes! Thanks, Mercine. Always good to hear from you.